Railways has undertaken massive maintenance work, which has directly affected its punctuality performance, officials said. Indians Railways punctuality performance in 2017-18 was worse in comparison to the two financial years before that, with almost 30 percent of its trains running late, according to official data. The punctuality of mail and express trains during April 2017-March 2018 was 71.39 per cent as compared to 76.69 per cent in the corresponding period of 2016-2017, which is a deterioration of 5.30 per cent. In 2015-2016, 77.44 per cent trains ran on time. In 2016-2017, railways put in over 15 lakh maintenance blocks in 2,687 locations resulting in delays in both mail and express trains. The number of blocks rose to 18 lakh in 2017-2018 with maintenance work being carried out in 4,426 locations. Indian Railways is undergoing a phase where upgrading, modernisation and renewal of track was going on in a big way. Due to this, there is a sharp decline in the number of accidents in the recent past. 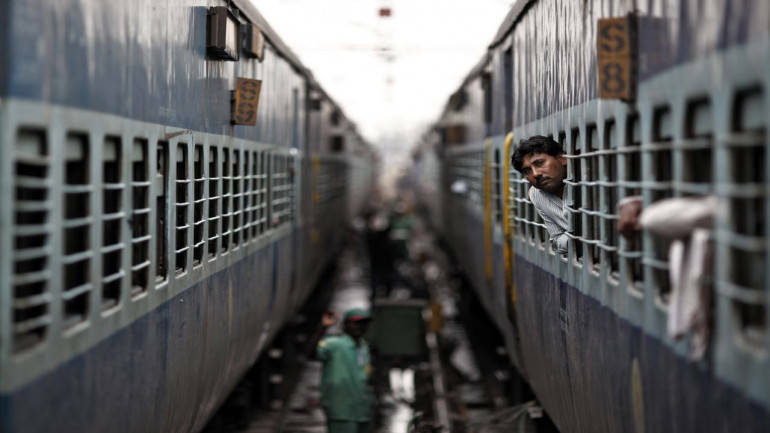 "We are also making efforts to improve Punctuality of trains without compromising safety and upgrading of tracks,” Rajesh Dutt Bajpai, Director (Media and Communication), Ministry of Railways, told PTI. Data also shows that the number of accidents in Indian Railways fell to two-digit figures for the first time in 35 years in the last fiscal. During the last three years, the number of consequential train accidents has decreased from 135 in 2014-15 to 107 in 2015-16 and further to 104 in 2016-17. In the last fiscal the number of consequential train accidents further reduced to 73. Sources in the ministry said that Chairman Railway Board Ashwani Lohani has taken note of the delays occurring across zones and in a message today to zonal railway officials said that such delays cause "embarrassment" to the railways. "He has said that regular delays are causing serious embarrassment and has ordered a 15-day drive to pull up punctuality figures. He has also asked each General Manager to provide figures pertaining to his railway beginning tomorrow morning," said the source. The source said that a meeting with zonal railways on punctuality will be conducted soon. Highlighting the delay in trains, passengers have taken to social media on many occasions, posting pictures and sharing anecdotes about their experience. On April 30, Ra.One director Anubhav Sinha took to Facebook to complain about the seven-hour delay of the Lucknow to Varanasi Neelanchal Express.